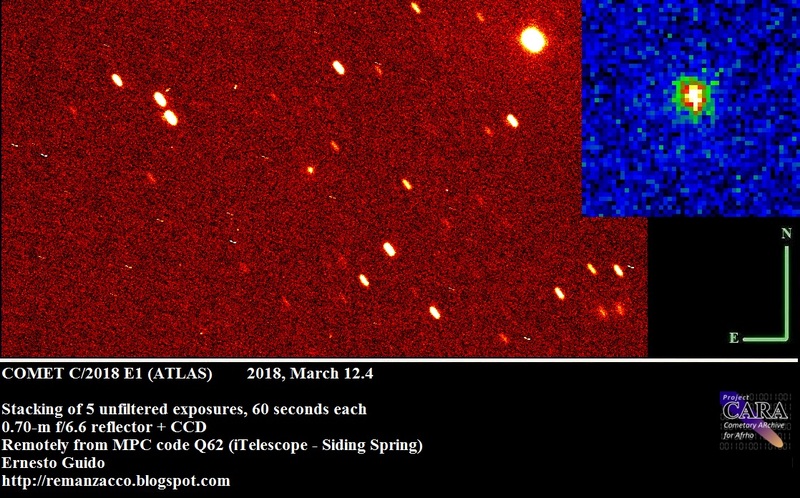 During the 3-month period January through March 2018, 12 new comets were discovered, cometary activity was detected for 3 previously discovered object (earlier designated as an asteroid) and there were 2 comet recoveries. 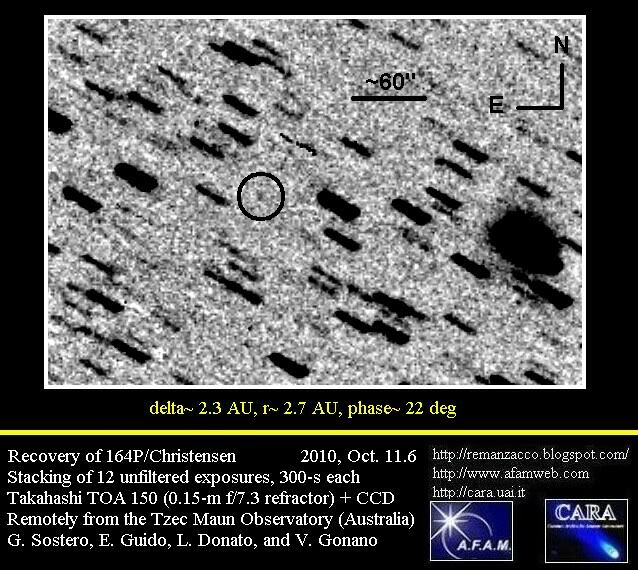 "Current comet magnitudes" & "Daily updated asteroid flybys" pages are available at the top of this blog (or just click on the underline text here). See below for the "Other news" section. The dates below refer to the date of issuance of CBET (Central Bureau Electronic Telegram) which reported the official news & designations. 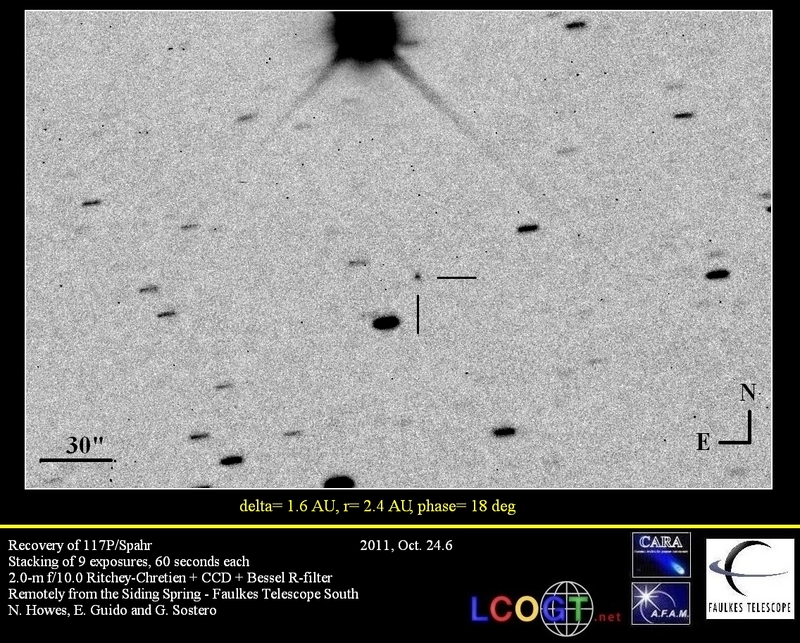 * The prefix for this object is being changed from A/ to C/, following the receipt of the following message from M. Micheli: "We obtained two 60-secondr-fi ltered exposures of A/2018 C2 using the Canada-France-Hawaii Telescope on2018 March 22.6 UT. 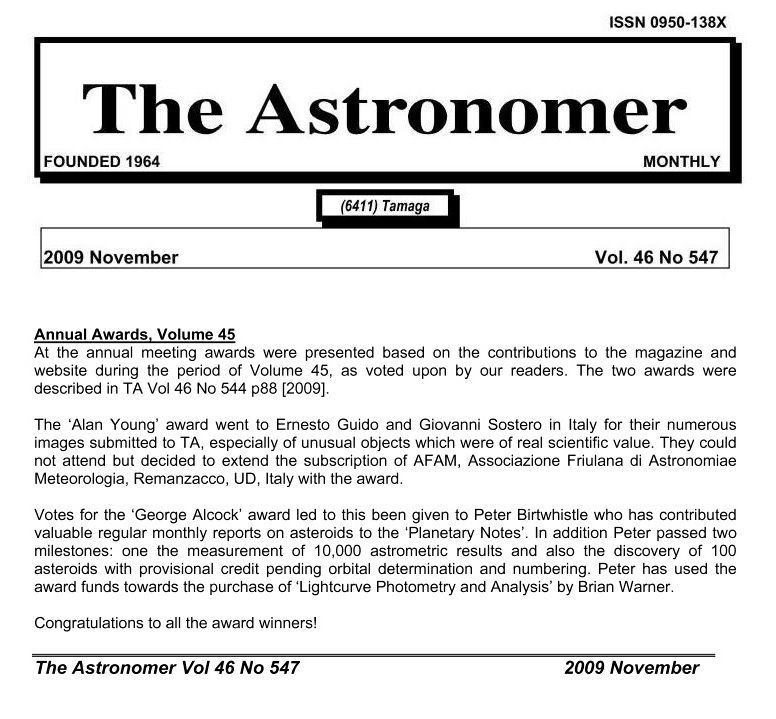 The queue observer was David Woodworth. 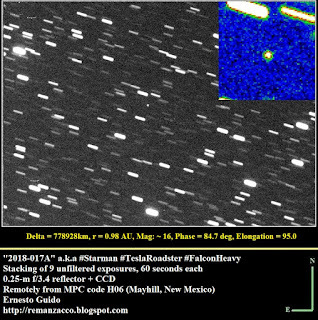 The object iscometary, displaying a broad faint tail of about 10" toward the West. 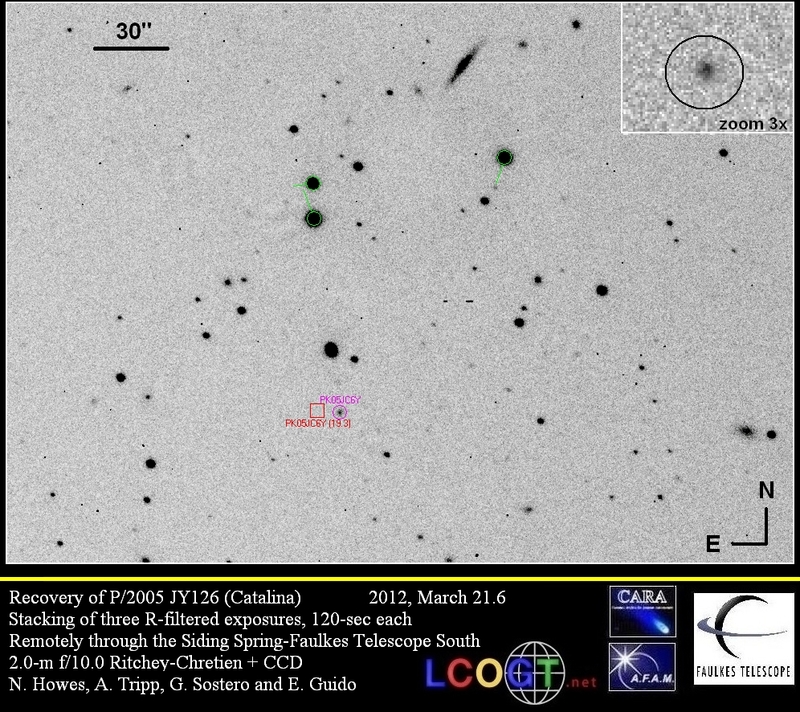 The comais only marginally extended, with a FWHM of 0.9" compared to 0.8" of nearbystars." (ref. M.P.E.C. 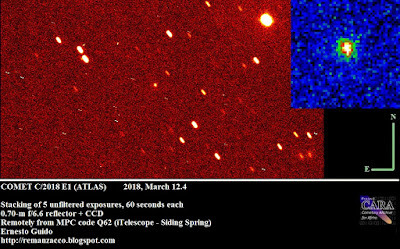 2018-F136). 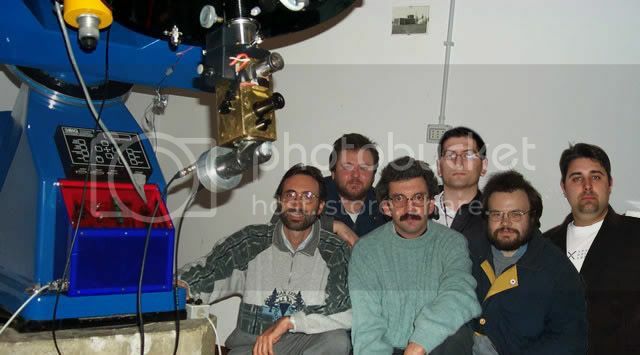 Jan 5 RIP Thomas J. Bopp (1949-2018), co-discoverer of comet Hale-Bopp in 1995 (with Alan Hale). 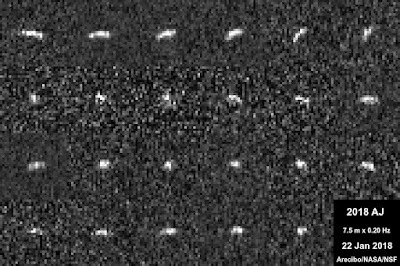 Jan 24 Radar images of near-Earth asteroid 2018 AJ by @AreciboRadar show an elongated body, about 60m x 120m with a considerable brightness variations as it rotates every 45 minutes. 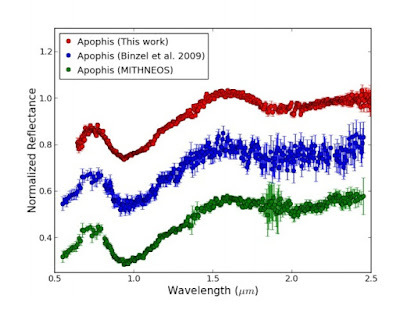 Feb 02 New paper on Arxiv by Kim et al. 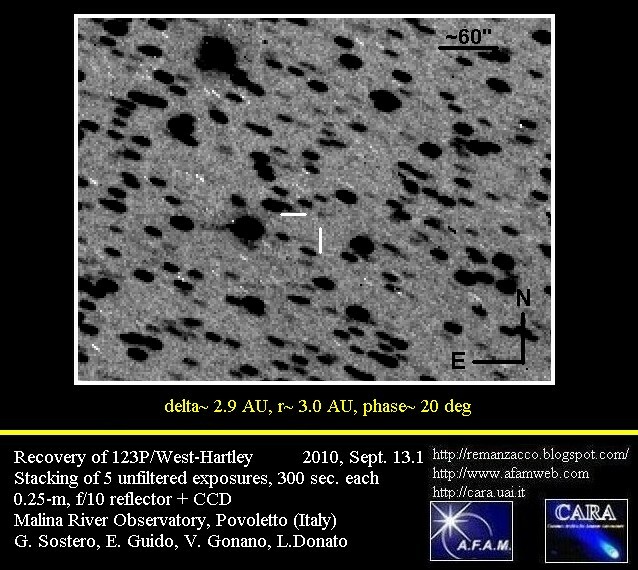 : "Orbital Alignment of Main-Belt Comets". Feb 05 RIP Yoshihide Kozai (1928 - 2018), Japanese astronomer specialising in celestial mechanics. He is best known for discovering, simultaneously with Michael Lidov, the Kozai mechanism, for which he received the Imperial Prize of the Japan Academy in 1979. 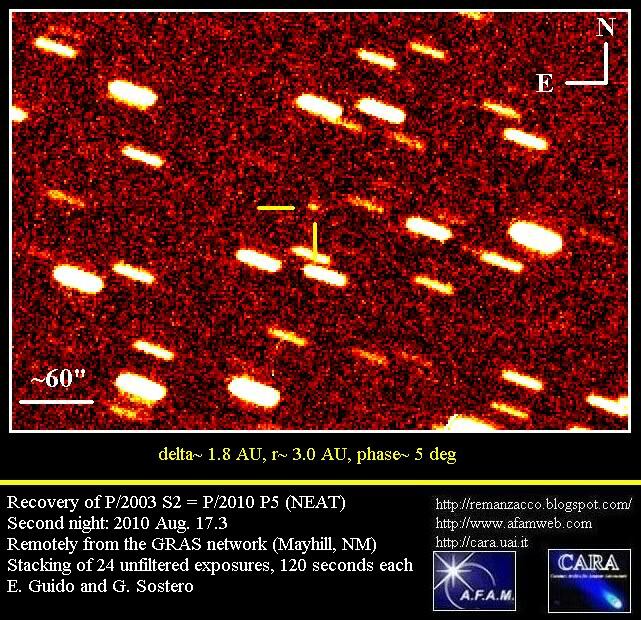 Feb 08 3.79 billion miles from Earth, New Horizons snapped these images of a pair of Kuiper Belt objects, making them the farthest images ever taken by a spacecraft! 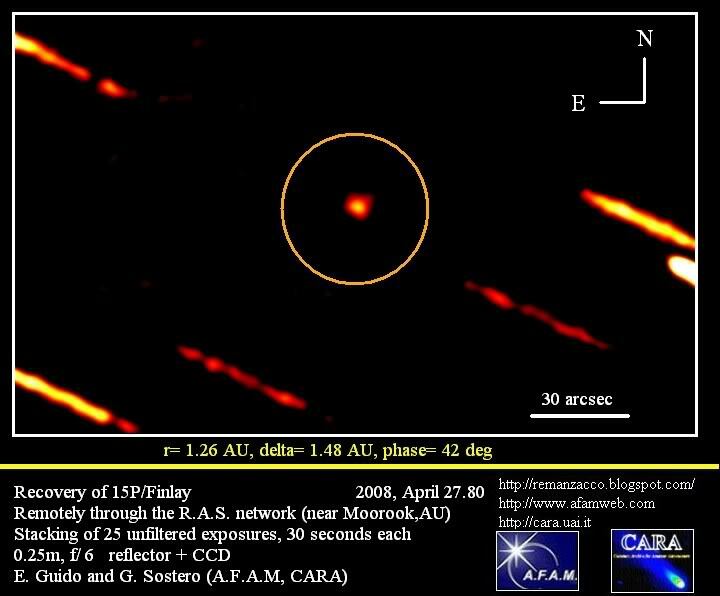 "These December 2017 false-color images of KBOs 2012 HZ84 (left) and 2012 HE85 are, for now, the farthest from Earth ever captured by a spacecraft. 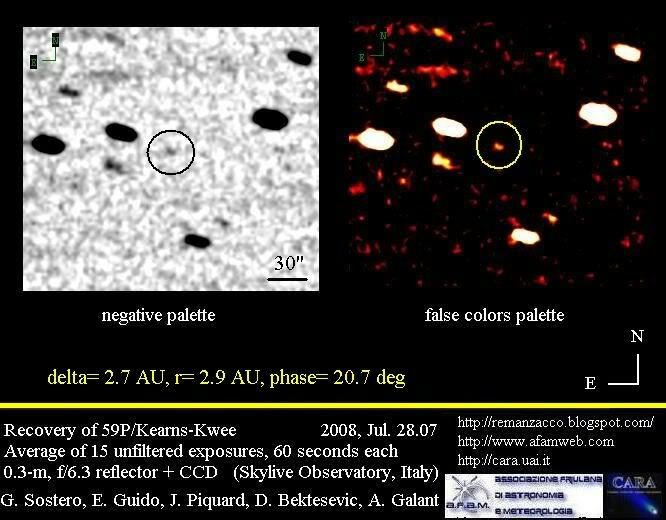 They're also the closest-ever images of Kuiper Belt objects". Feb 09 Image & Animation of @SpaceX "2018-017A" a.k.a. 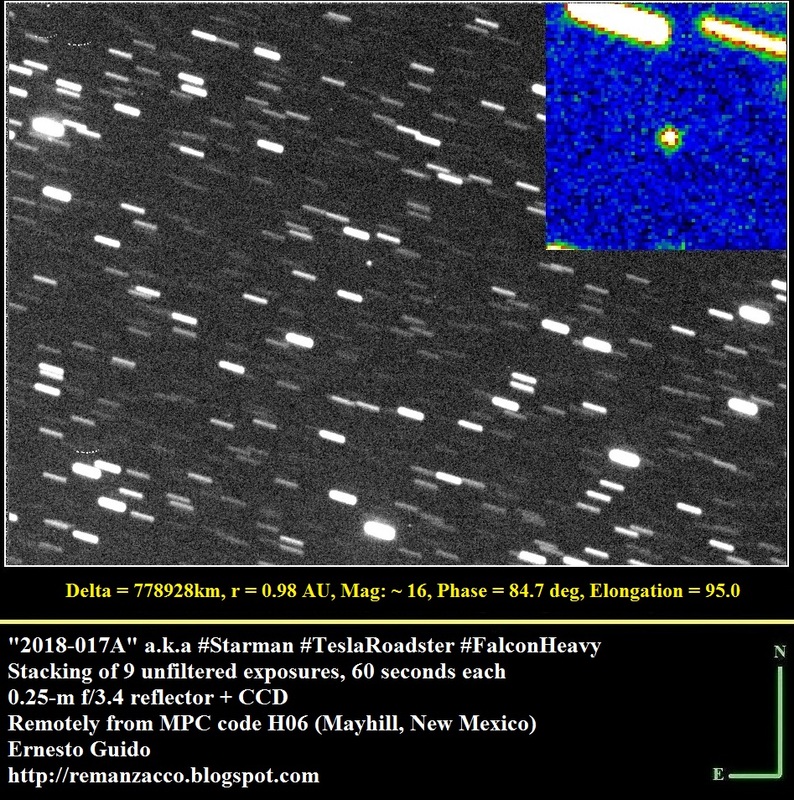 #Starman #TeslaRoadster #FalconHeavy #astronomy #spacex. Click on the thumbnails below for a bigger version. 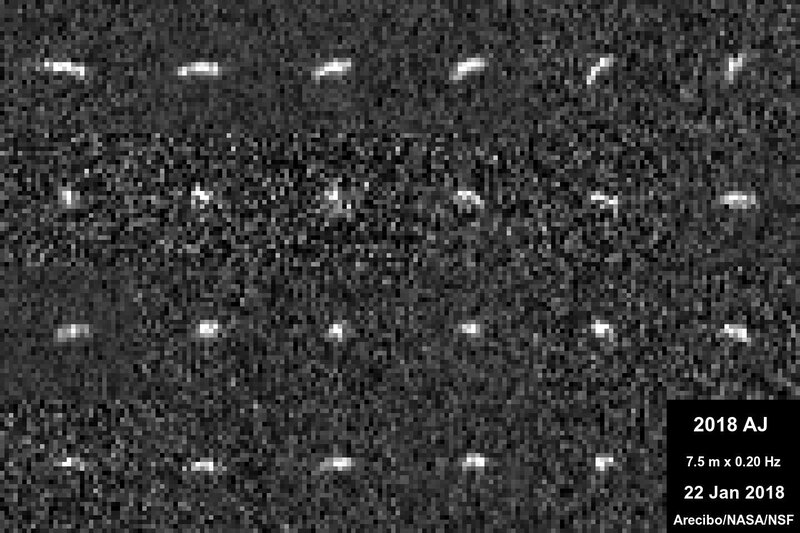 Feb 13 Recent radar images of near-Earth asteroid (505657) 2014 SR339 from @NAICobservatory show a lumpy, elongated body at least 1.5 km long and rotating once every 8 to 9 hours. 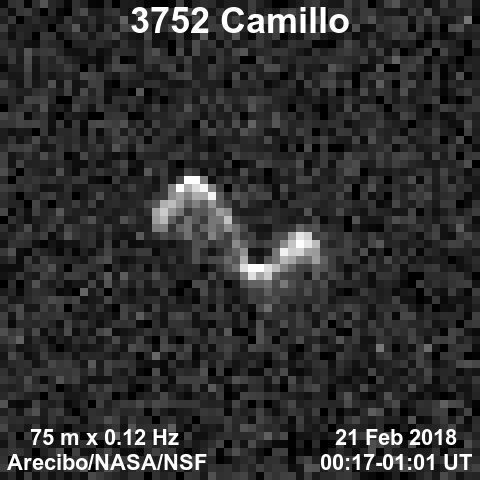 Feb 21 Radar images of asteroid (3752) Camillo on Feb. 21, 2018 via @AreciboRadar & @NAICobservatory: "Optical observations suggested an elongated body with a slow rotation, but radar reveals an unexpectedly angular, double-lobed shape seen in very few near-Earth asteroids". 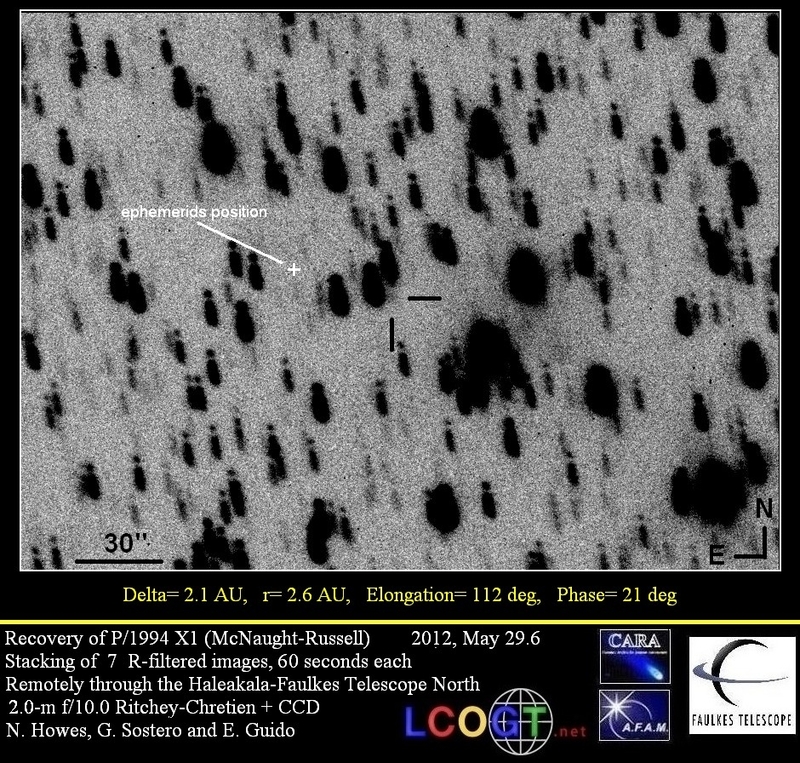 Feb 02 New paper on Arxiv by Quan-Zhi Ye et al. 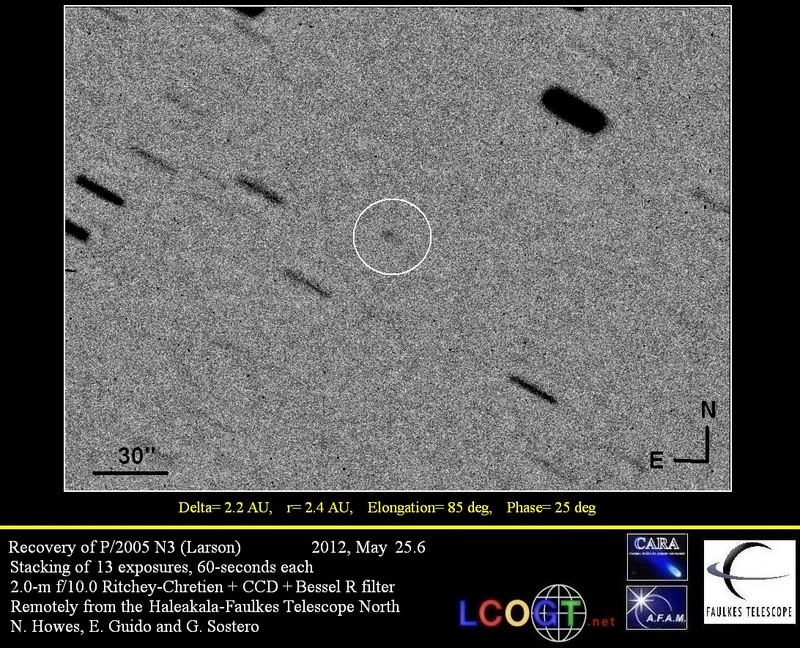 : "Finding Long Lost Lexell's Comet: The Fate of the First Discovered Near-Earth Object". 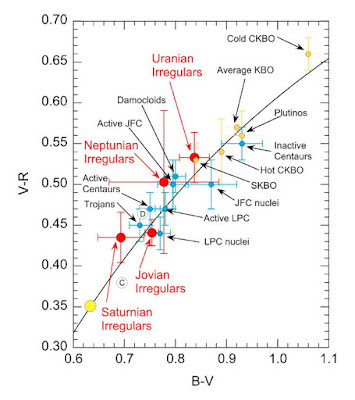 Mar 05 New paper on Arxiv by Ariel Graykowski & David Jewitt: "Colors and Shapes of the Irregular Planetary Satellites". 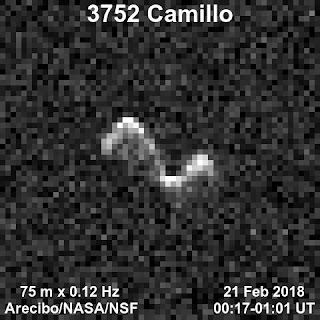 Mar 07 Radar images of asteroid "2017 VR12" on March 06, 2018 via @AreciboRadar & @NAICobservatory: "The asteroid is clearly elongated, yet angular, with about 100 to 160 meters visible as it rotates once every 1.4 hours". 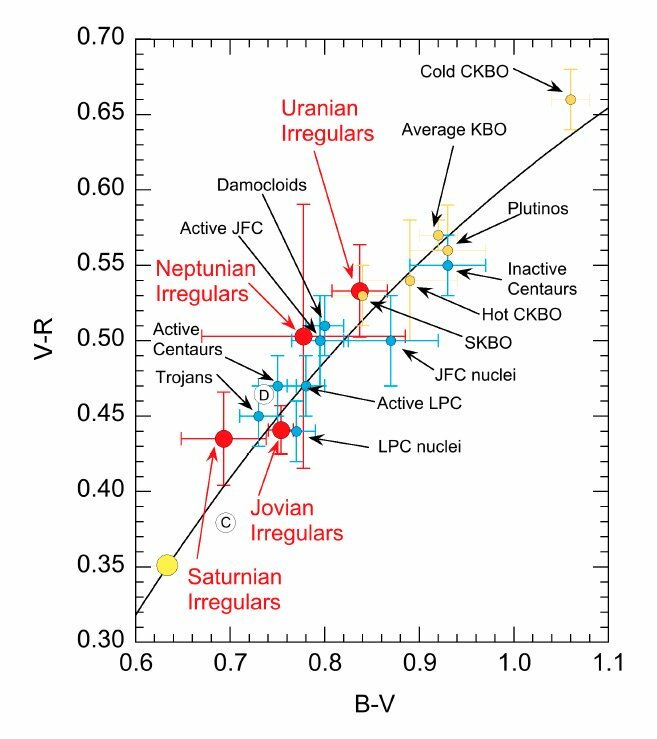 Mar 14 New paper on Arxiv by Reddy et al. 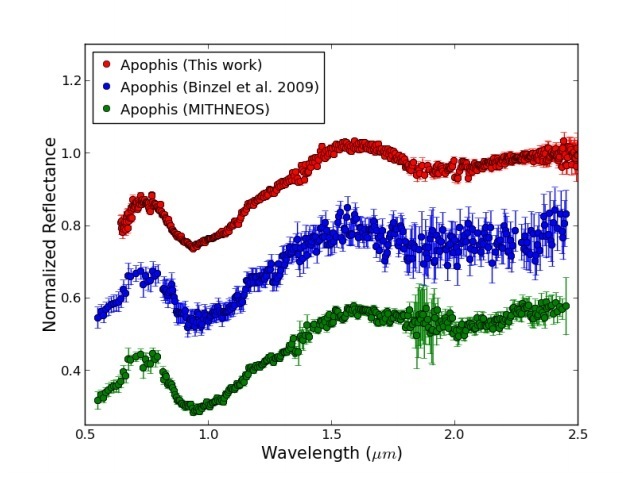 : "Surface Composition of (99942) Apophis".